On this page I'll post some of my favorite pictures of my pets. 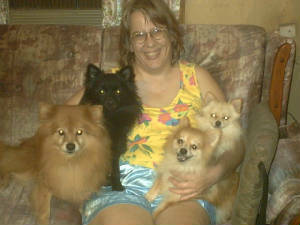 This picture shows our 4 Pomeranians. One of the few times all four were close enough for a group picture! 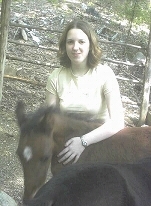 Here is one of our orphan foals with my daughter. 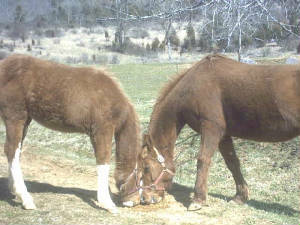 Shiloh is our 7 yr, old QH mare and Frisky is her yearling filly. 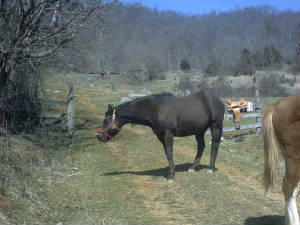 Autumn Star is our 18 yr. old QH mare. 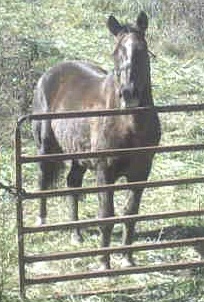 Bo is our 6 yr. old QH gelding.